You Can't Order Change - Audiobook | Listen Instantly! 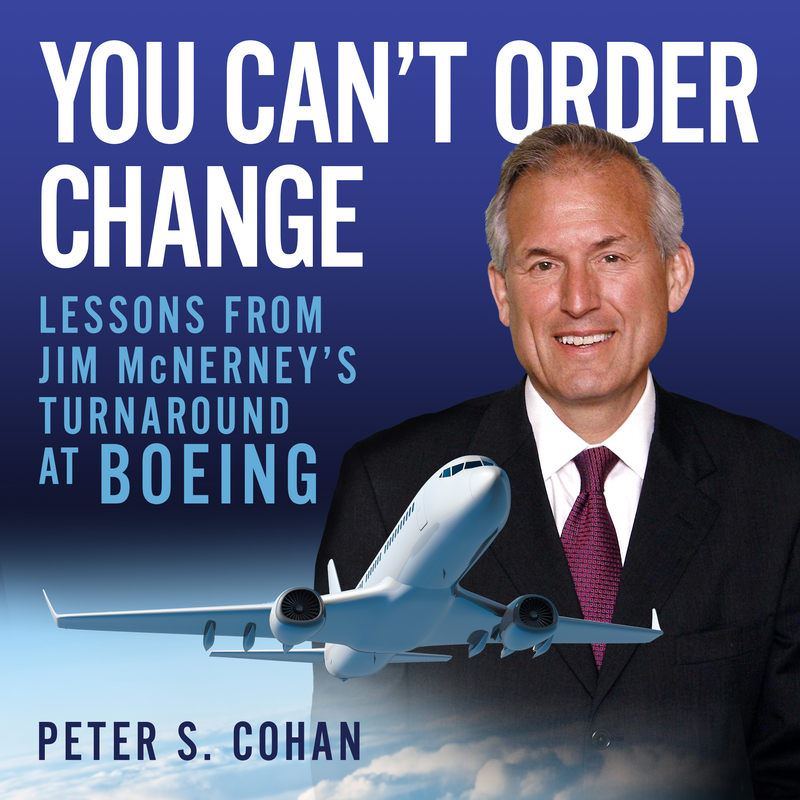 The first audiobook to explore the unique leadership style of Boeing’s acclaimed CEO Jim McNerney was one of Jack Welch’s top protégés at General Electric and a finalist to replace the retiring Welch as CEO. McNerney lost that competition in 2001, but since then he has emerged as one of the most effective leaders of his generation. You Can’t Order Change tells the amazing story of McNerney’s turnaround at the world’s leading aircraft manufacturer, which had faced a series of tough problems. Boeing is extremely hard to run, with more than $66 billion in annual revenue and 161,000 employees. A new product like the 787 Dreamliner costs billions to develop over many years, with global production hurdles and little margin for error. Peter Cohan interviewed people who worked with McNerney throughout his career to explain why his consensus-driven style sets him apart. The title comes from a McNerney quote about the importance of winning hearts and minds with a clear vision of future success. McNerney combines Midwestern integrity and humility with the brilliance and drive of a Harvard Business School and McKinsey alum. This audiobook reveals his approach to accountability, growth, cost cutting, leadership development, customer focus, and other universal challenges. Download and start listening now!